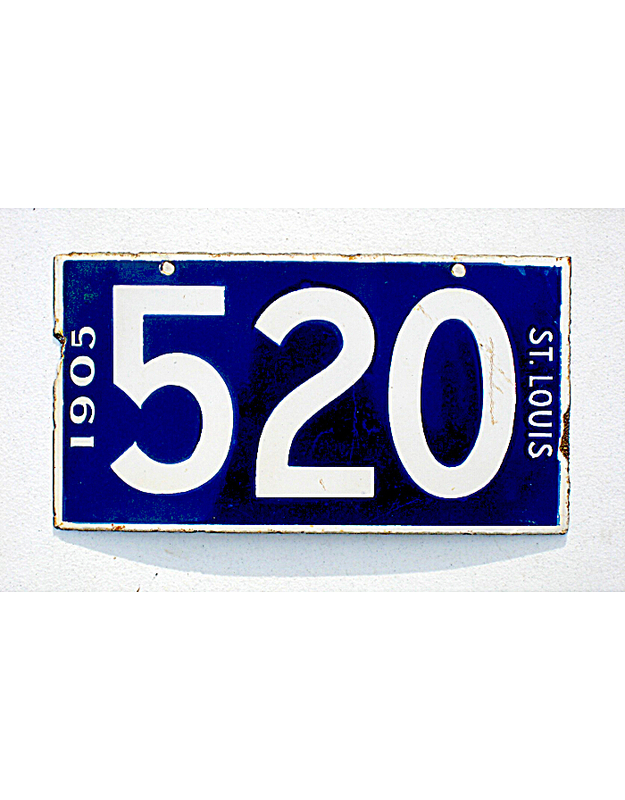 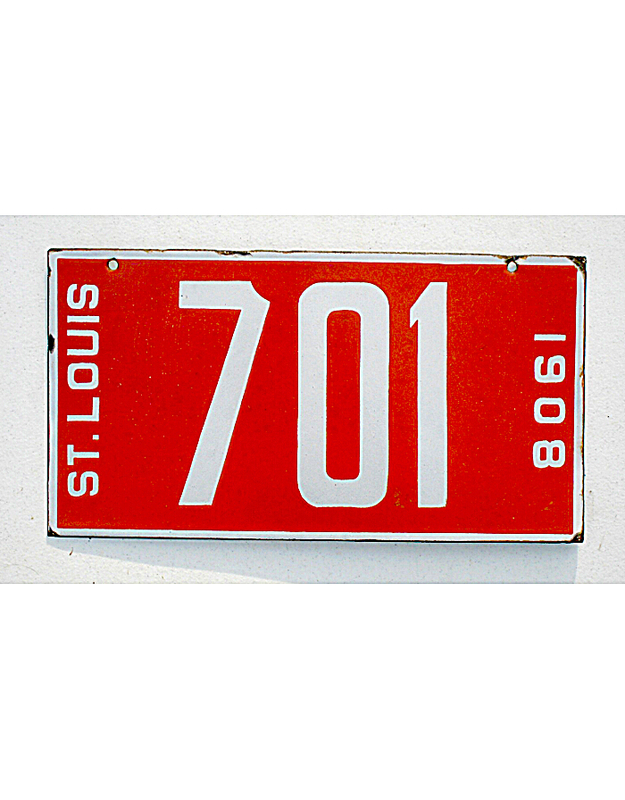 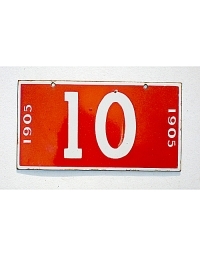 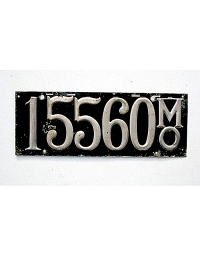 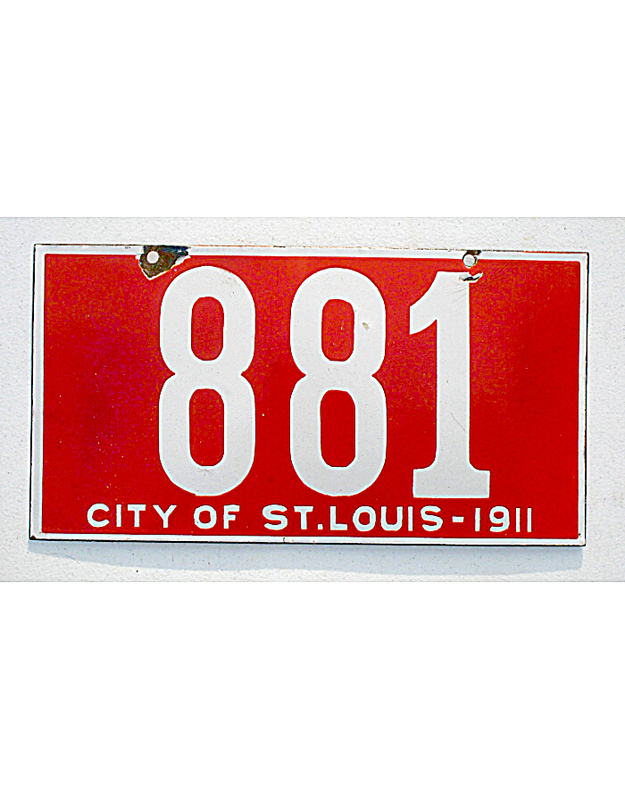 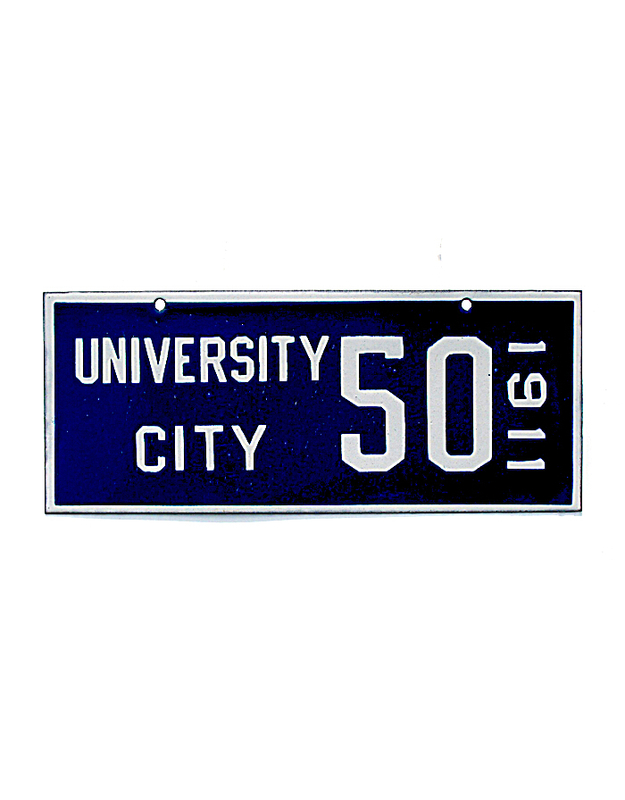 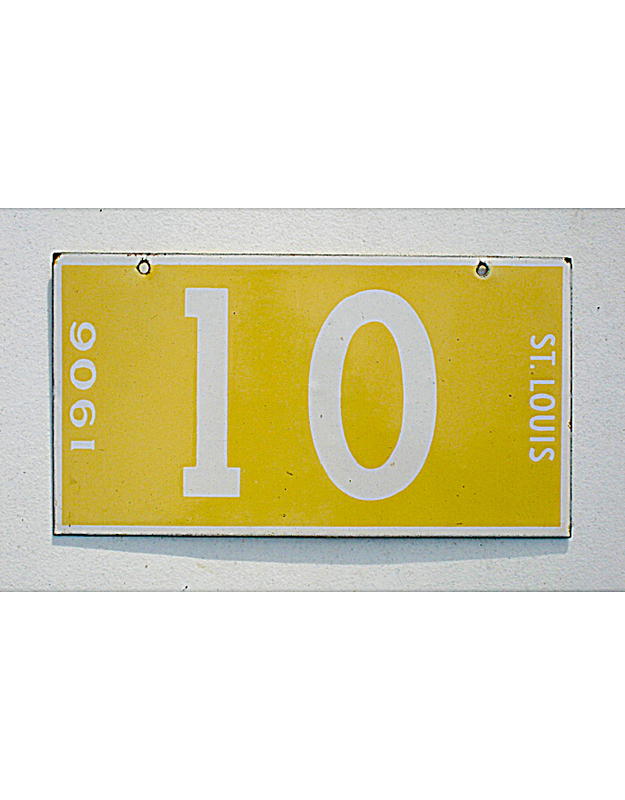 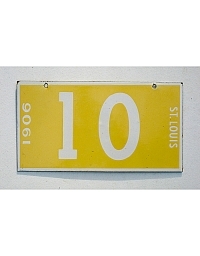 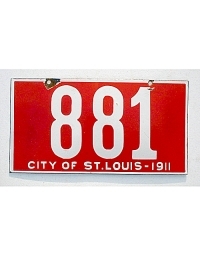 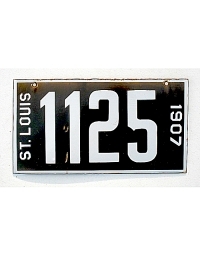 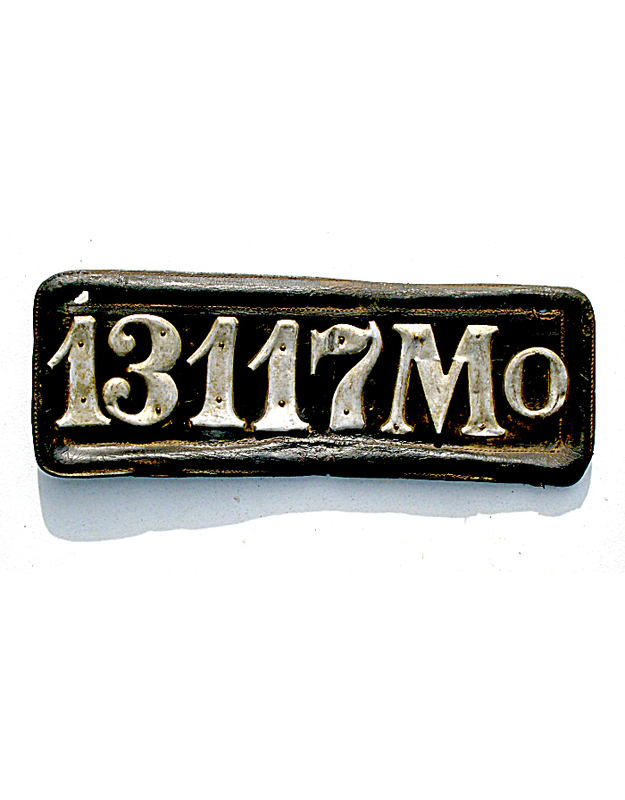 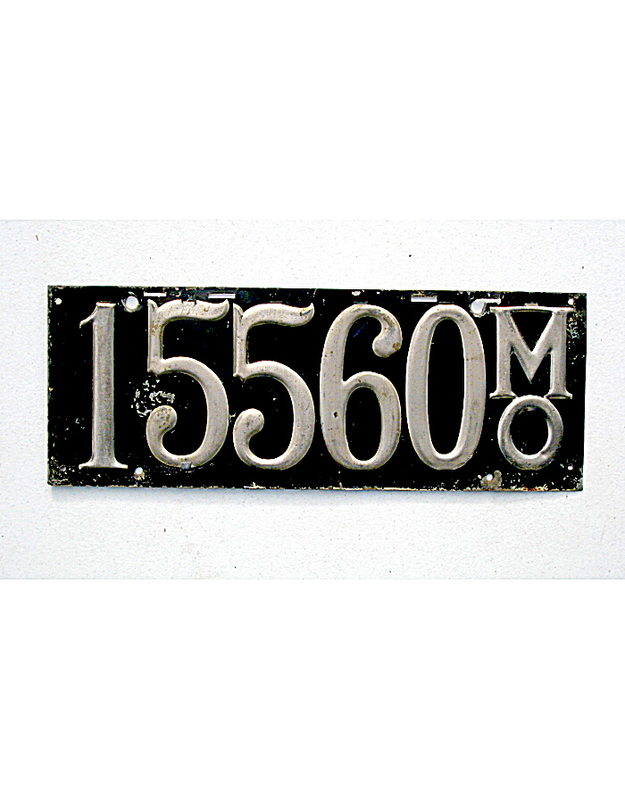 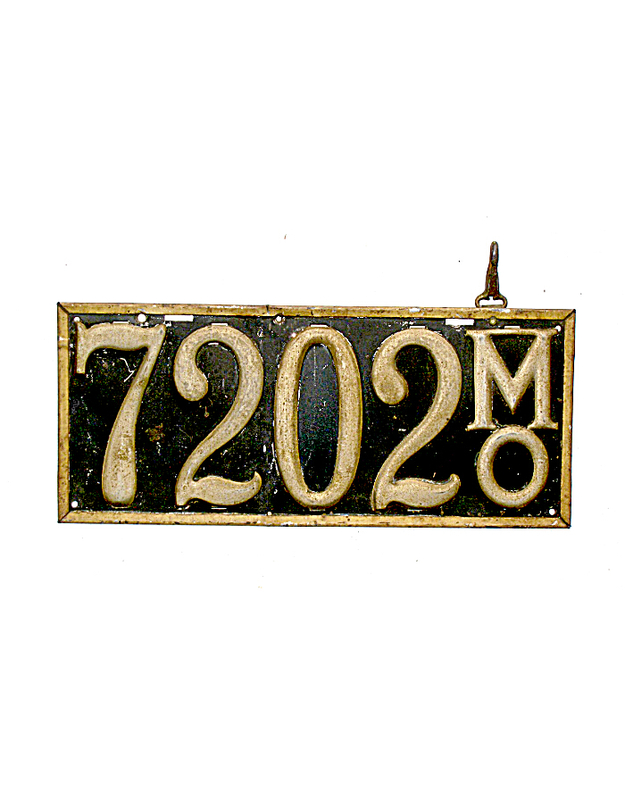 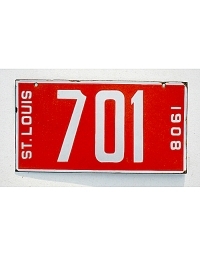 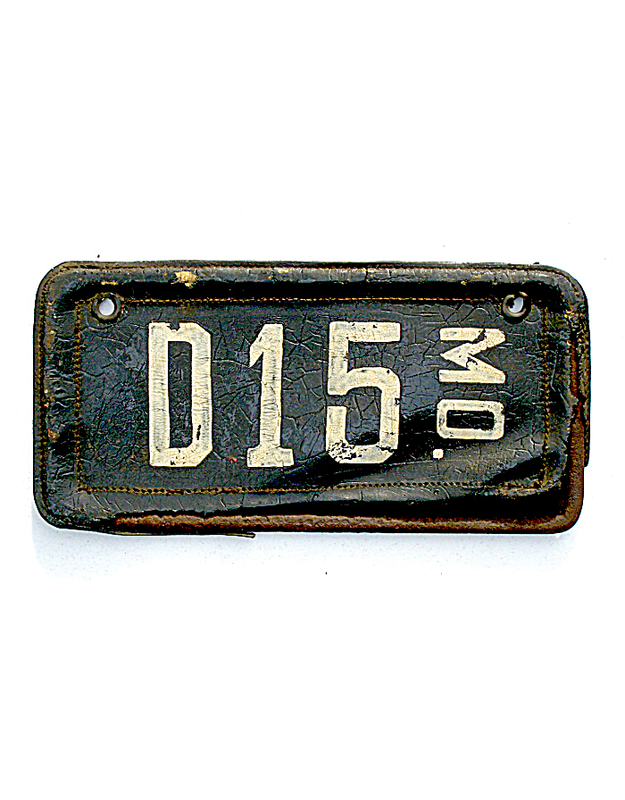 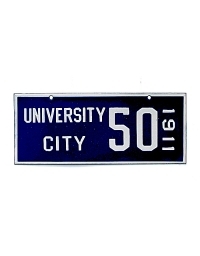 The City of St. Louis began issuing porcelain automobile license plates in 1904. 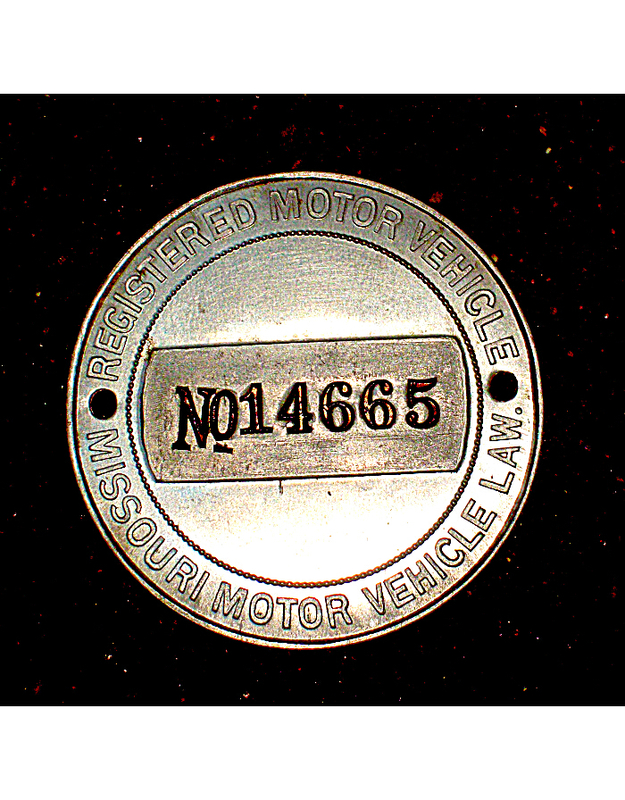 Registration actually began in 1902 by means of a small aluminum dated seal that was to be affixed to the auto dashboard, but numbers were not required to be displayed on the machine itself until two years later. 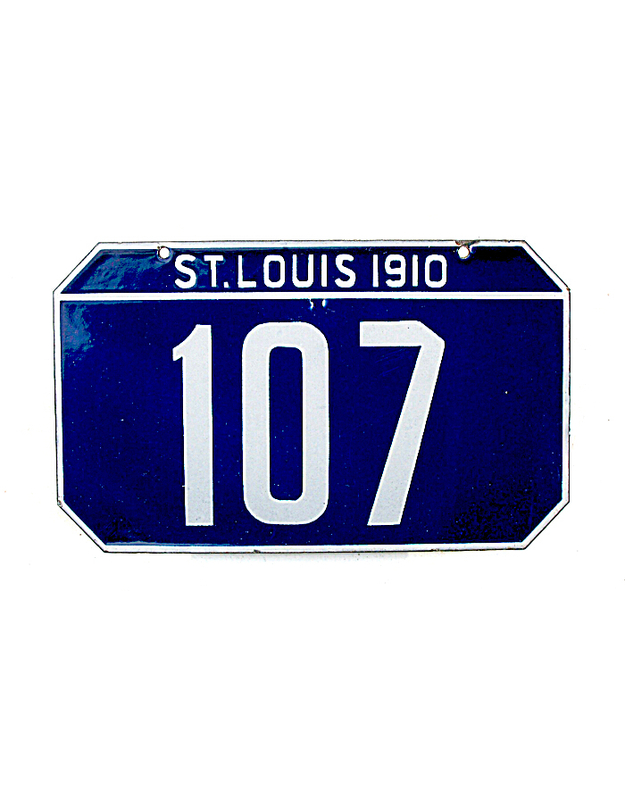 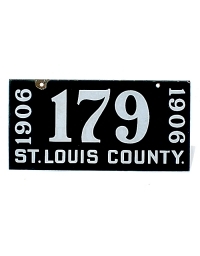 St. Louis continued issuing large porcelain license plates annually through 1911. 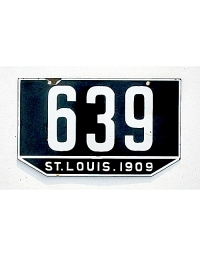 There are two types of dated-1905 plates. The blue series (represented here by #520) was recalled by the city due to a manufacturing error, and replaced by the red example. 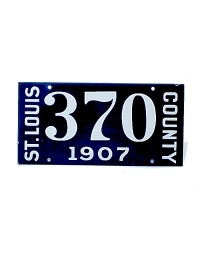 The blue ’05 plates had been made in the same color scheme as the prior year, leading to fraudulent use of expired tags by repainting the date. 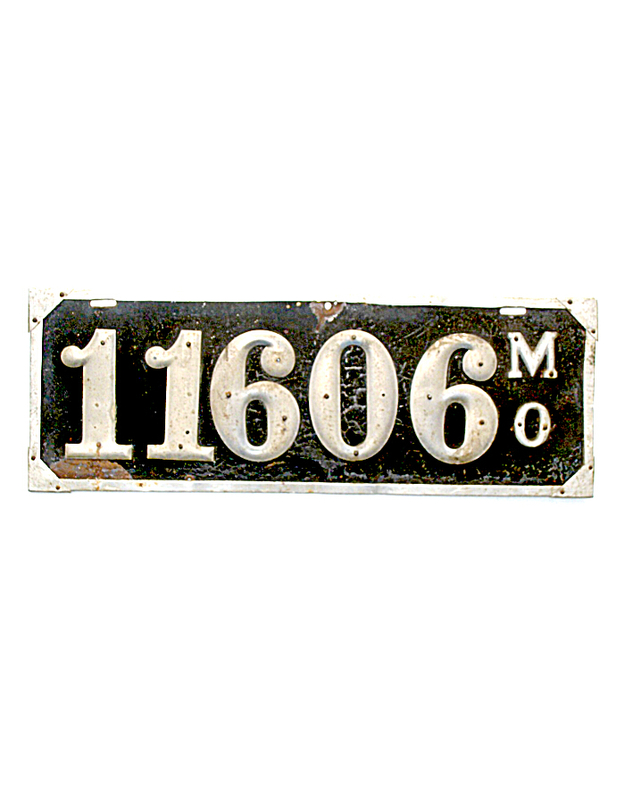 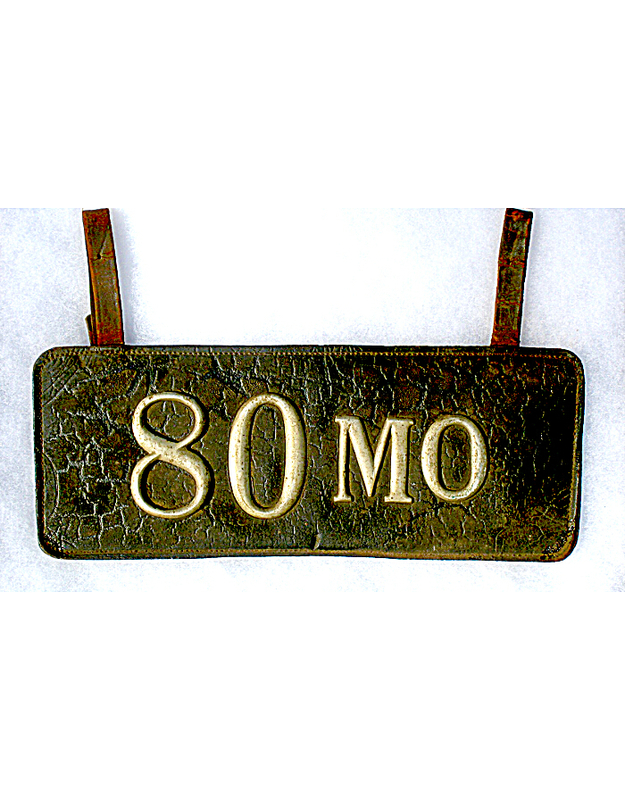 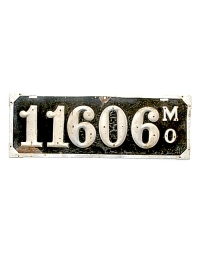 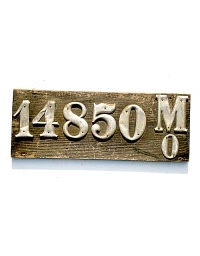 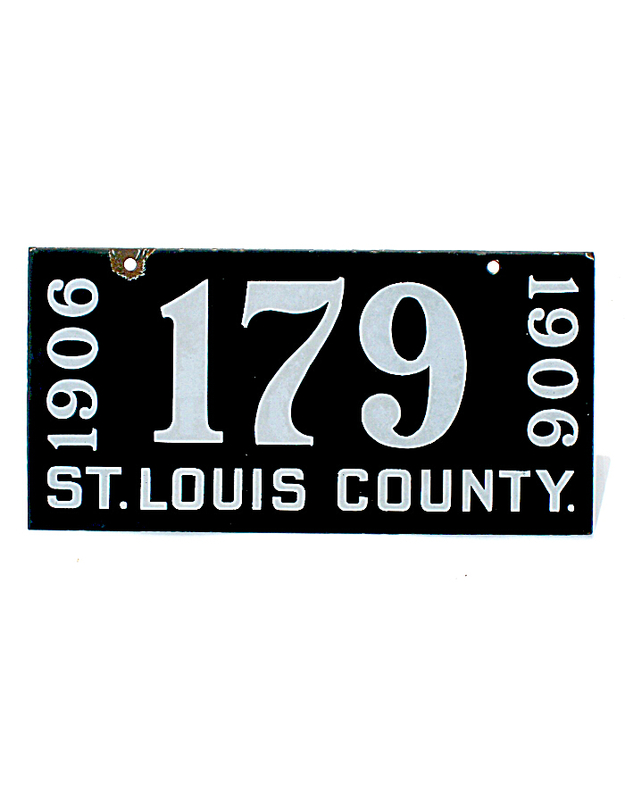 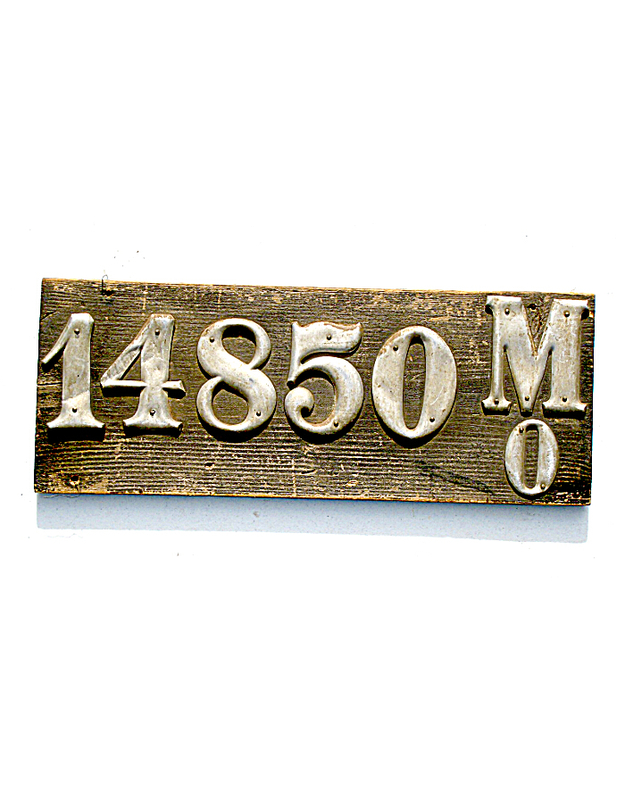 St. Louis County, legally separated from the city, issued porcelain license plates to motorists in 1906 and 1907 only. 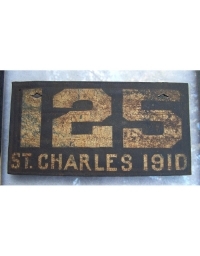 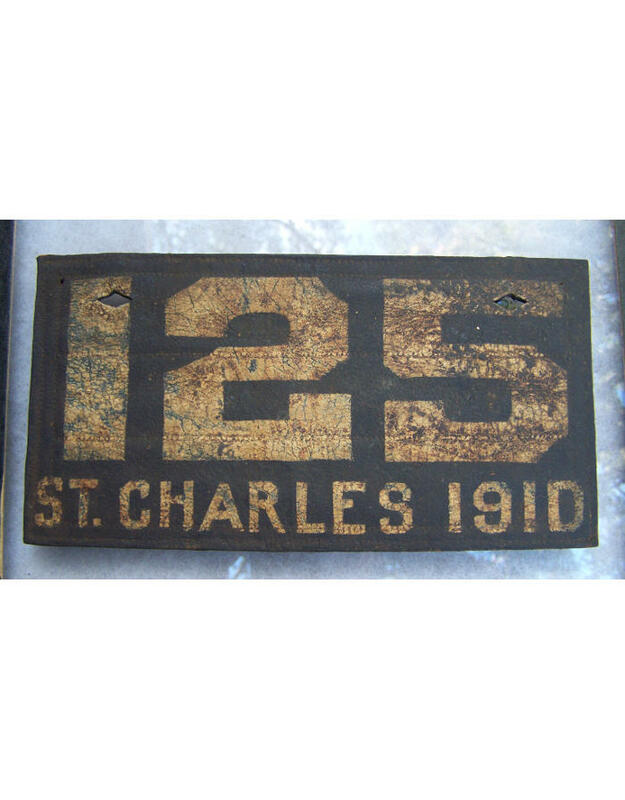 St. Charles also apparently issued automobile numbers at least for 1910, if not earlier. 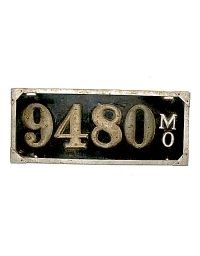 The State of Missouri also required automobiles to be licensed statewide beginning in 1907, regardless of whether the machine was registered in the City or County of St. Louis. 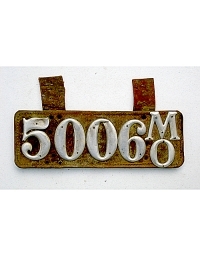 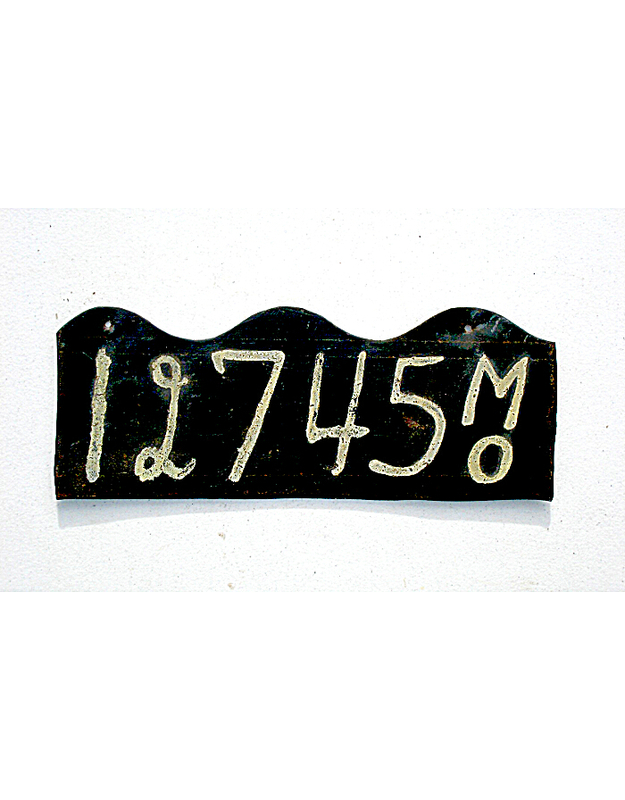 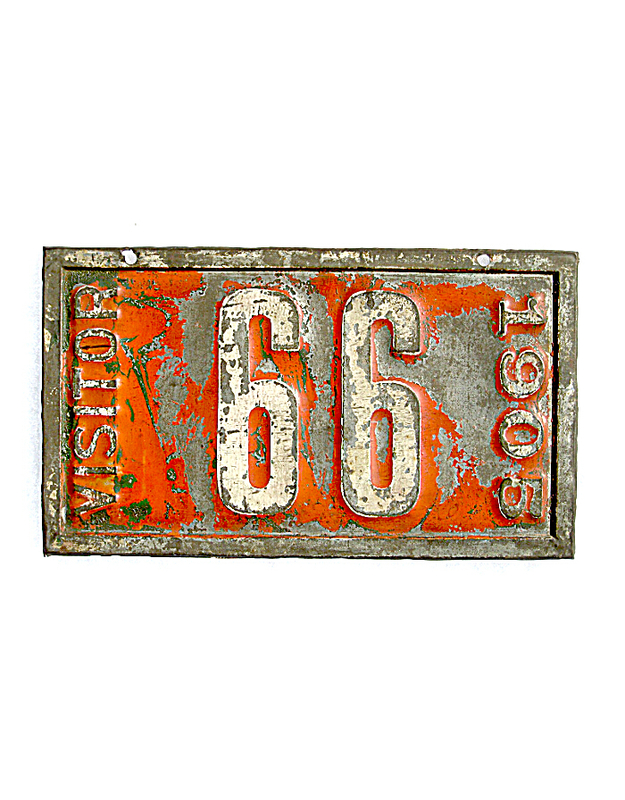 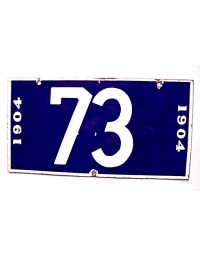 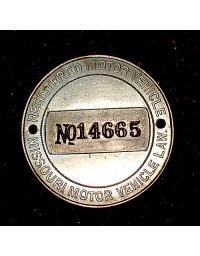 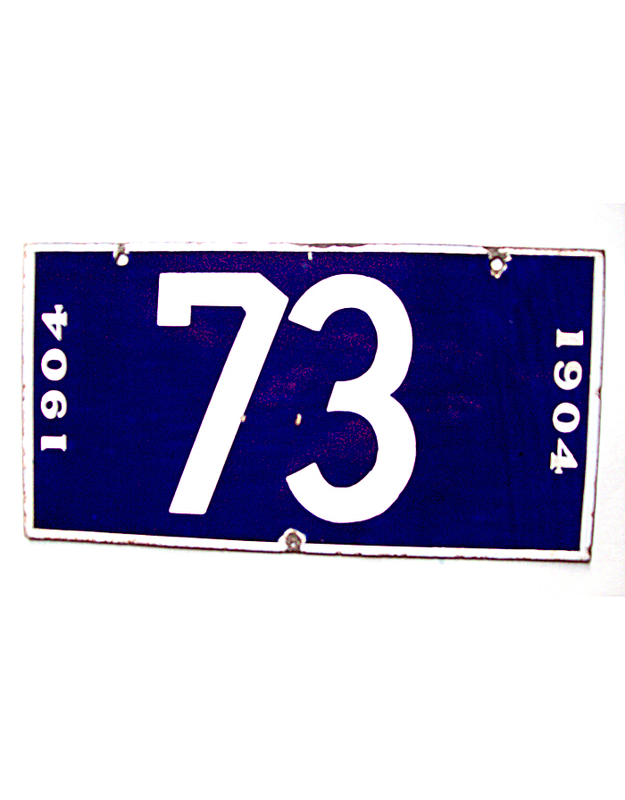 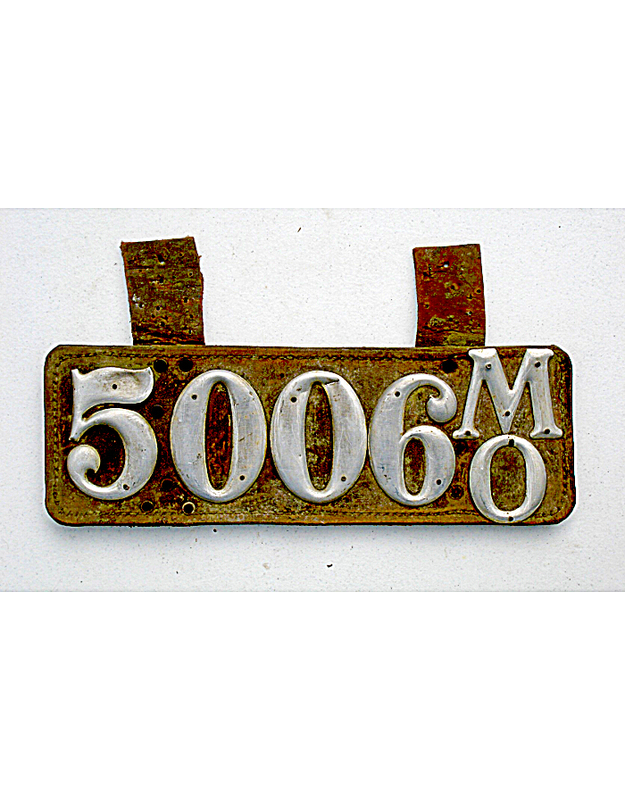 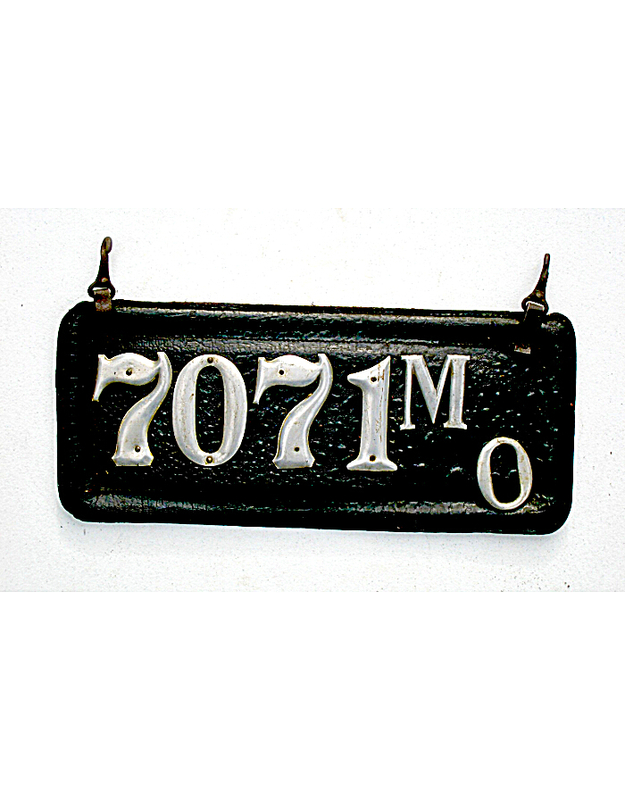 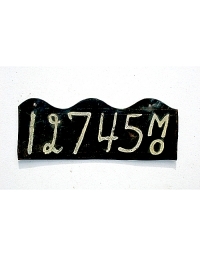 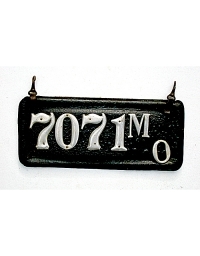 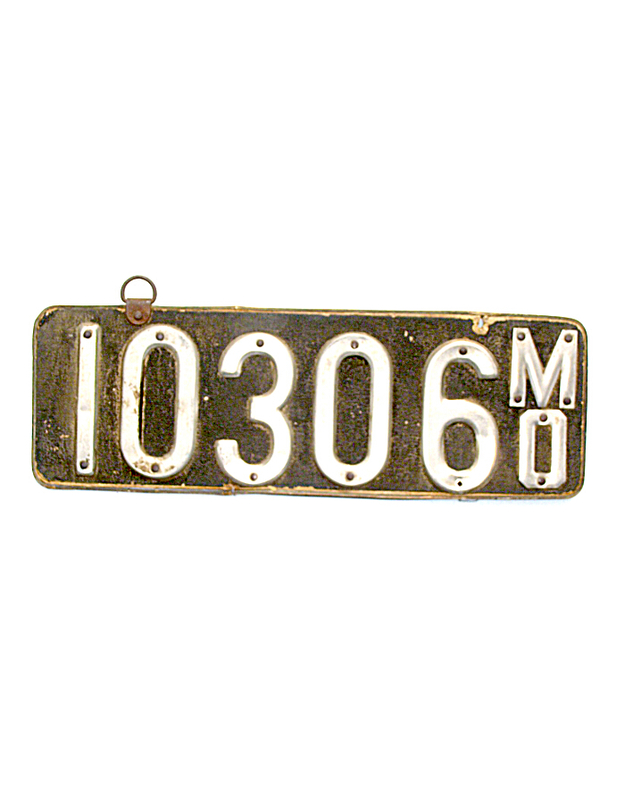 The state issued numbered dashboard discs, and owners made their own license plates in typical pre-state fashion. St. Louis area motorists were outraged that they had to display three separate license plates to comply with state, county and city laws. 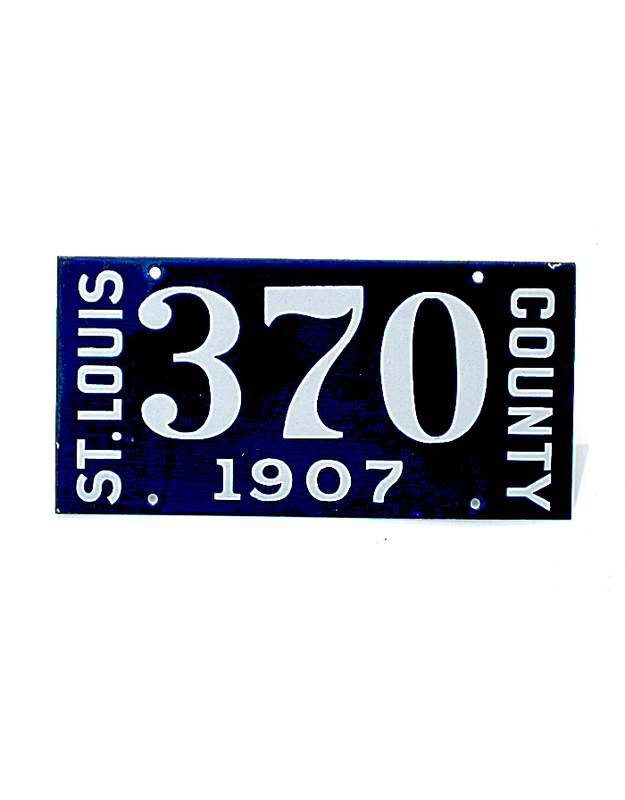 Perhaps that accounts for the demise of St. Louis County plates in subsequent years. 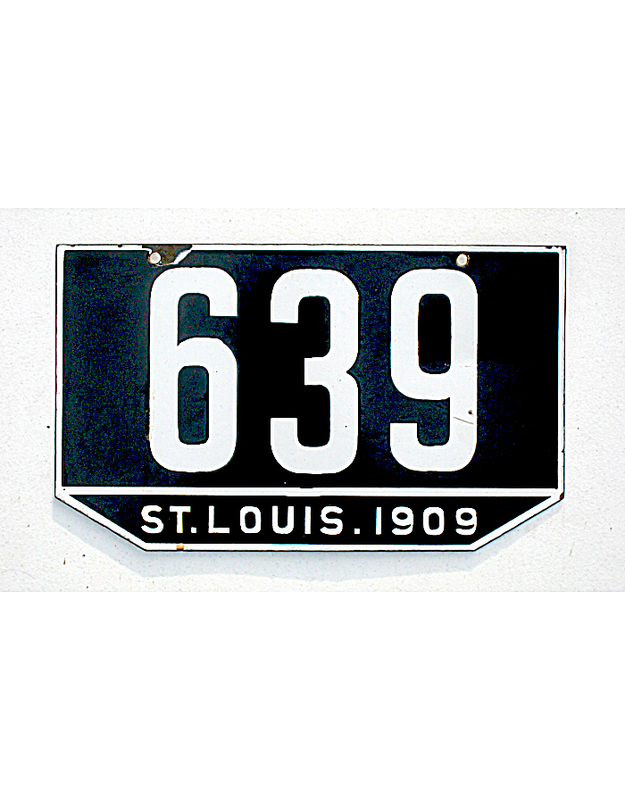 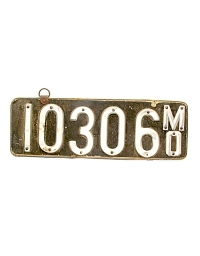 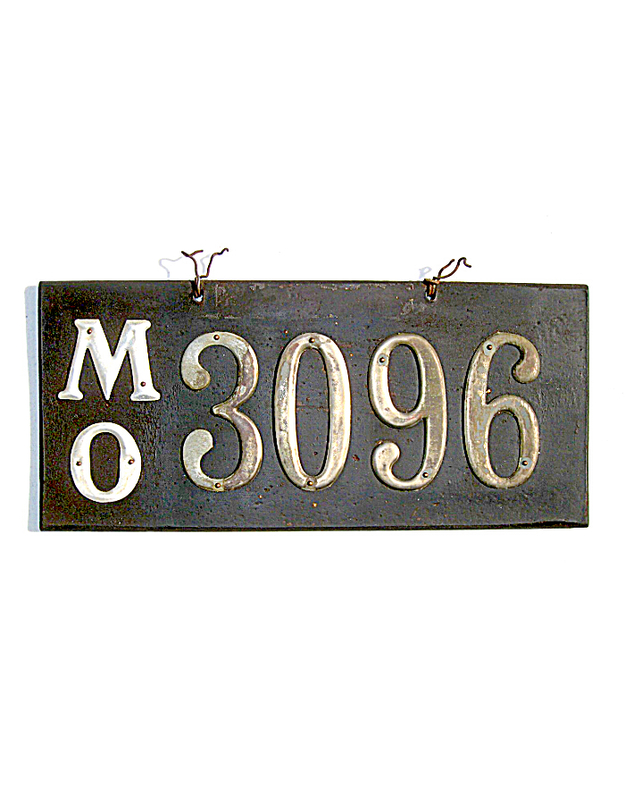 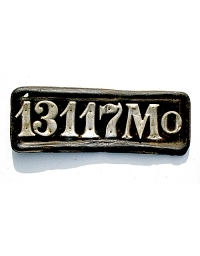 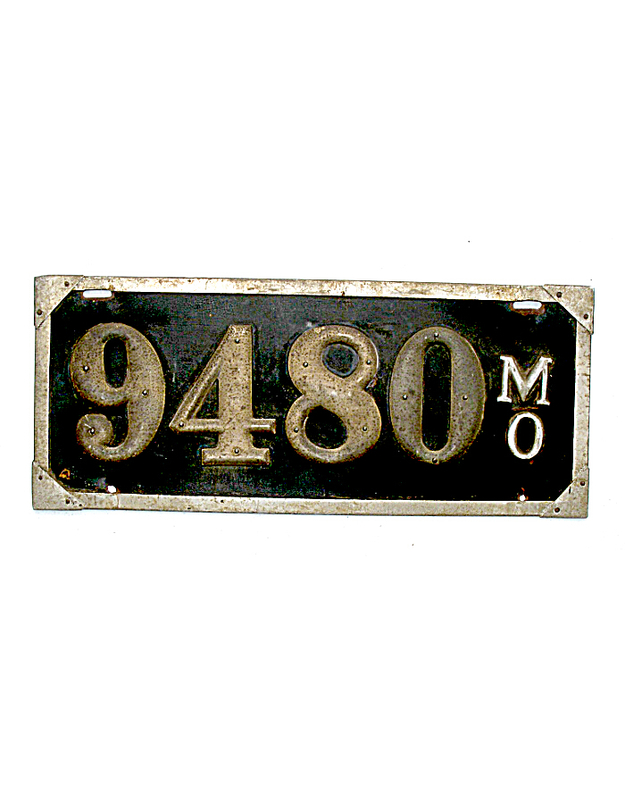 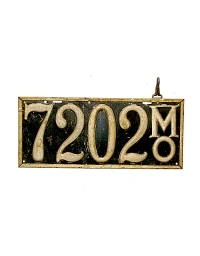 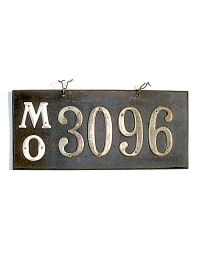 Missouri assigned over 15,000 numbers before adopting its first official statewide license plate late in 1911. 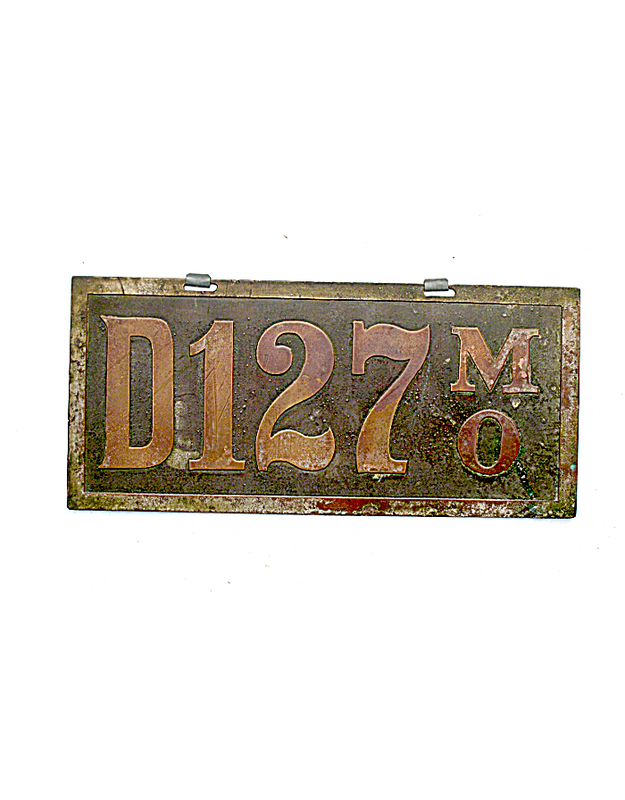 Many other Missouri towns and cities licensed automobiles during the ‘teens and 1920’s – most notably Kansas City and Independence. 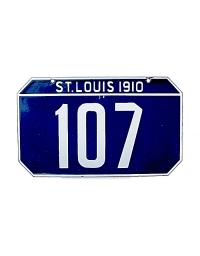 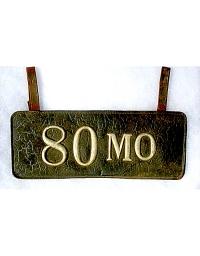 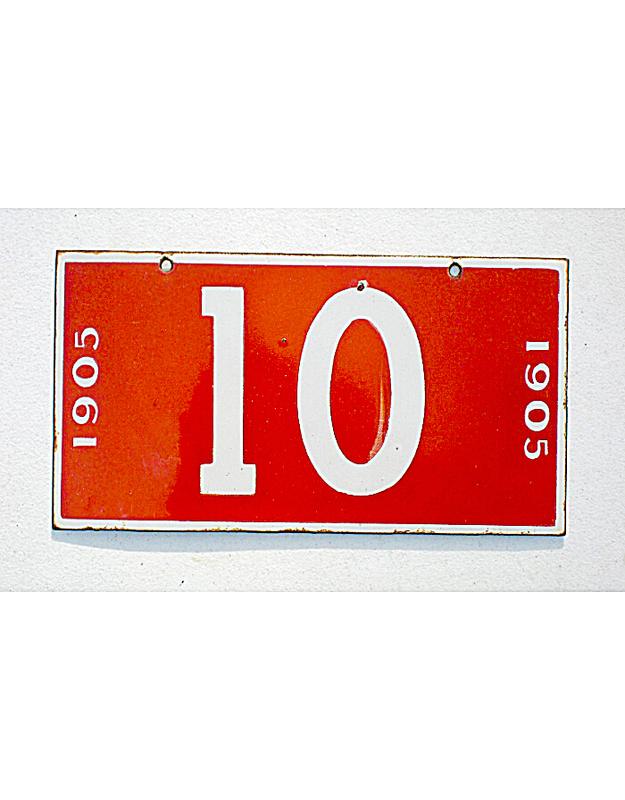 But, with the exception of St. Charles, no other jurisdiction required numbers to be displayed on the exterior of the automobile as early as 1910.